Istanbul Prosecutor’s Office issued arrests warrants for 114 businessmen including Rıza Meral, the chairman of the Turkish Confederation of Businessmen and Industrialists (TUSKON), as part of an investigation into the Gulen Movement. The movement is accused by the government of masterminding the July 15 coup attempt. 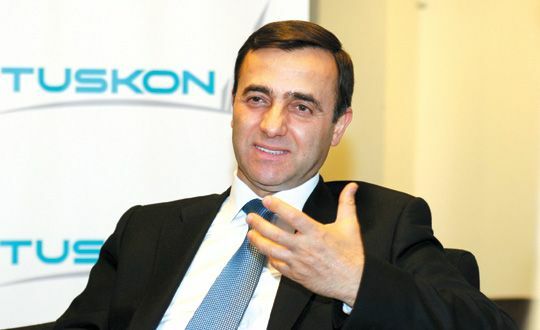 Among those implicated in the investigation are members and personnel of TUSKON, according to state-run Anadolu Agency. Founded in 2005, TUSKON is a union of 55,000 businessmen. Having organized several world-wide trade fairs since its foundation, the union is now accused of providing financial support to the movement. Some TL 12 billion (about $4 billion) in property has been transferred to the Treasury as part of an investigation into the movement, said Minister for Environment and Urbanization Mehmet Özhaseki on Sept.1. Yet, the total figure is expected to surge more considering seizures and trustee appointments into new companies that have become a common practice in the aftermath of July 15.